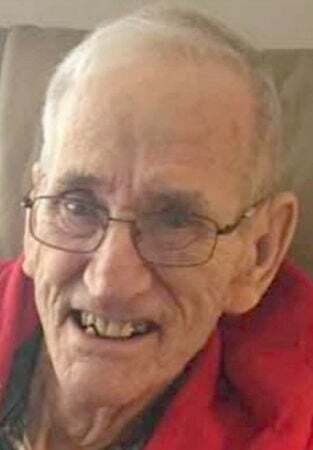 CAIRO — John R. “Ray” Neville, 94, of Cairo died Wednesday, April 10, 2019, at the Central Nebraska Veterans Home in Kearney. Services will be at 10:30 a.m. Monday at Blessed Sacrament Catholic Church in Grand Island. The Rev. Martin Egging will officiate. Burial will be in Westlawn Memorial Park Cemetery. Visitation will be Sunday at Apfel Funeral Home-Grand Island, beginning at 4 p.m. and concluding with a vigil service at 6. John Ray Neville was born June 4, 1924, at York to Frank P. and Mary (Beide) Neville. He grew up and received his education in Fairmont, York and McCool Junction, graduating from McCool Junction High School in 1941. He served in the U.S. Army from April 1946 to October 1947. Ray married Barbara J. Kaliff on Nov. 18, 1947, at St. Joseph’s Catholic Church in York. The couple farmed near Exeter before moving in 1956 to Wood River, where they also farmed. In 1965, they moved northwest of Cairo, where they farmed until retiring. Ray was a member of Blessed Sacrament Catholic Church and the Knights of Columbus. Ray enjoyed fishing and horseback riding. He loved animals of all kinds, and they seemed to be drawn to him. He loved gardening and growing flowers. He enjoyed a good cigar and a cold beer. Ray liked to take drives to the farm and enjoyed witnessing the annual migration of the sandhill cranes. He was always the gentleman and had a kind and loving spirit. He loved to travel with groups on casino visits and enjoyed the Fonner Park horse races. Survivors include sons and daughters-in-law, Jim and Kelly Neville of Broomfield, Colo., Janice Neville of Broken Bow and Tom Neville (Donna) of Broken Bow; daughters and sons-in-law, Cheryl Nelson of Longmont, Colo., Barb and Tim Malm of Holdrege, Pat and Mark Van Pelt of Dannebrog, Teresa Holland of Lincoln and Pam and Dennis Prichard of Lincoln; 23 grandchildren; 38 great-grandchildren and two great-great-grandchildren. He was preceded in death by his wife, Barbara, in 2005; son, Ken, in 2014; a brother, Frank; three sisters, Sister Mary Katherine, Maralyn Neville and Teresa Schepers; and a son-in-law, Frank Holland. Memorials are suggested to the Salvation Army, Cairo Senior Center or the American Red Cross.